At Parliament on 30 May 2018, Freedom of Religion South Africa (FOR SA) attended a briefing by the Department of Justice (DoJ) to the Parliamentary Portfolio Committee on Justice regarding the proposed Prevention and Combating of Hate Crimes and Hate Speech Bill (“the Bill”). This briefing followed certain amendments made to the original draft of the Bill by the DoJ, in response to the almost 76,000 submissions received from the public (including a large number of religious organisations). FOR SA – together with other religious organisations – worked very hard to ensure the inclusion of such an exemption clause in the Bill, even meeting with the Deputy Minister of Justice in person and facilitating a meeting between him and religious leaders to discuss our concerns. However, at the Parliamentary briefing we were surprised to learn that the exemption, according to the Deputy Minister, would only apply to sermons and not to statements made by individuals. 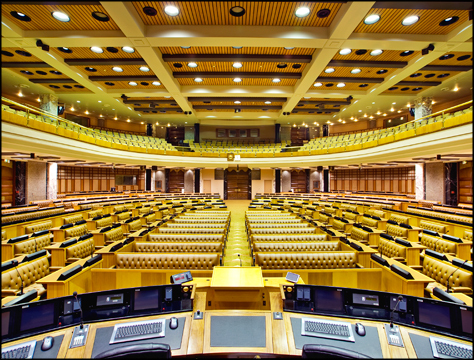 Fortunately, this concern was picked up on by ACDP MP Steve Swart, who immediately challenged the Deputy Minister’s statement as a “major concern” that would preclude individuals, including for e.g. Jehovah Witnesses, from sharing their faith with others. The suggestion that the religious exemption clause would only apply to sermons (and not to individual speech) is simply astounding! On the plain wording of the religious exemption clause, there is no room for such distinction or limitation. Moreover, section 15 of the Constitution (guaranteeing the right to freedom of religion, including religious speech) belongs to everyone, everywhere in the Republic. It therefore belongs as much to the pastor in the pulpit as it does to the person who shares his religious convictions and beliefs on the street, in the workplace or in any other setting or forum. To limit the application of the religious exemption clause to sermons, implies that the conscience, convictions and beliefs of individual believers are somehow less sacred and worthy of protection than their pastors’. This clearly is not supported by either the Constitution or the case law. As an organisation, FOR SA agrees that no one (whether a pastor, or an individual believer) in whatever setting (whether in the pulpit, or elsewhere) should be allowed to make statements that advocate hatred and incite violence. We strongly condemn any such instances of “hate speech” – whether against another religion, members of the LGBT community or any other group of persons. However, the definition of “hate speech” in the Bill has already been stretched far beyond that written in the Constitution, which was deliberately limited so that freedom of speech and expression would be largely unhindered. By contrast, the definition in the current Bill includes speech that anyone could potentially find offensive – even if it is not directed at them. To then single out speech from the pulpit for protection, yet leave all other religious speech in other settings exposed, is a double blow to a fundamental human right. This is particularly true because, around the world, “hate speech” laws are increasingly used against Christians for simply professing the Bible and expressing their sincere religious convictions and beliefs (including Christian street preachers, Christians in the marketplace, etc). It is clear that, despite the promises and assurances made to the religious community, the threat to religious freedom remains. FOR SA will continue to engage with the Department of Justice, the Justice Portfolio Committee and other stakeholders in this regard. However, it is extremely important when the revised Bill is published for comment, that believers and religious organisations (again) make comments on this revised Bill. 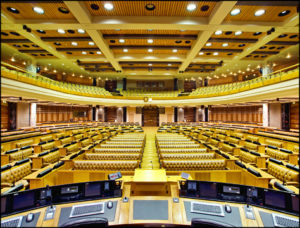 In this regard, FOR SA will shortly publish our comments on the revised Bill, as well as a pro forma submission, on our website (www.forsa.org.za). Please keep an eye on our website and our Facebook page (@Freedom of Religion SA) for details regarding the publication of the revised Bill for comment, the deadline for comment etc. Although at this stage it is not yet clear when the Bill will be published for comment, or what the deadline for comment will be, we anticipate that this phase of the process will kick off in the very near future!